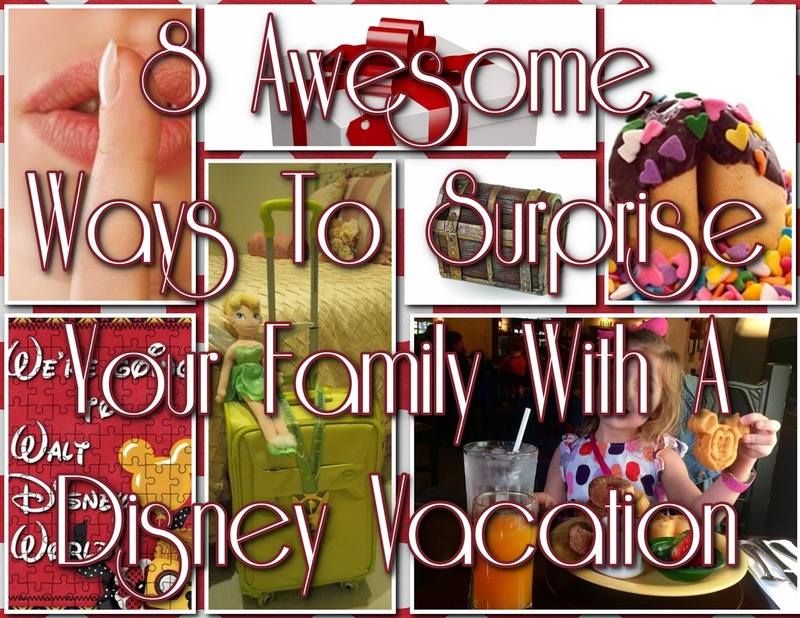 Disney Donna Kay: 8 Awesome Ways to Surprise Your Family with a Disney Vacation! 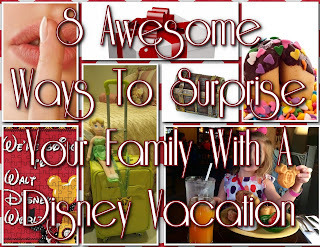 8 Awesome Ways to Surprise Your Family with a Disney Vacation! 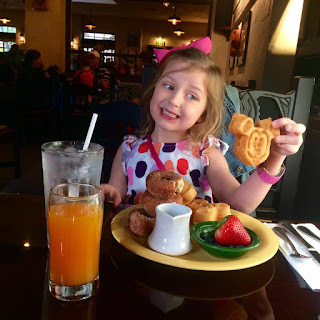 Just a few more days left of Christmas in July and you know I couldn't let it go by without giving you some great ideas for surprising your family with the ultimate gift - a Disney vacation!! 1. Send the kids to search for hidden treasure - My friends Lisa & James from Home Is Where The Mouse Is sent their kids on a fun treasure hunt to discover the true treasure was a family trip to Walt Disney World. I love their video! 2. 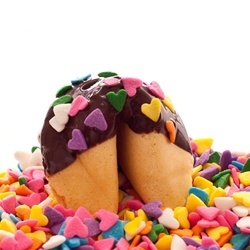 Customized Fortune Cookies - Order customized fortune cookies (or make them yourself) with the fortune reading "I see a Magical Vacation in your future!" and see how long it take for them to figure it out. Bonus points if you make them yourself and use Mickey sprinkles! 3. Pack Their Bags - Pack every one's luggage and have the suitcases waiting at the door with a favorite Disney toy or balloons when they arrive home. 4. Wrap It Up - Wrap up Mickey Ears, Magic Band and a Disney t-shirt. Wake the kids and tell them to brush their teeth, while they are in the bathroom sneak into the kids room and put it in a prominent place so that they are sure to see it. 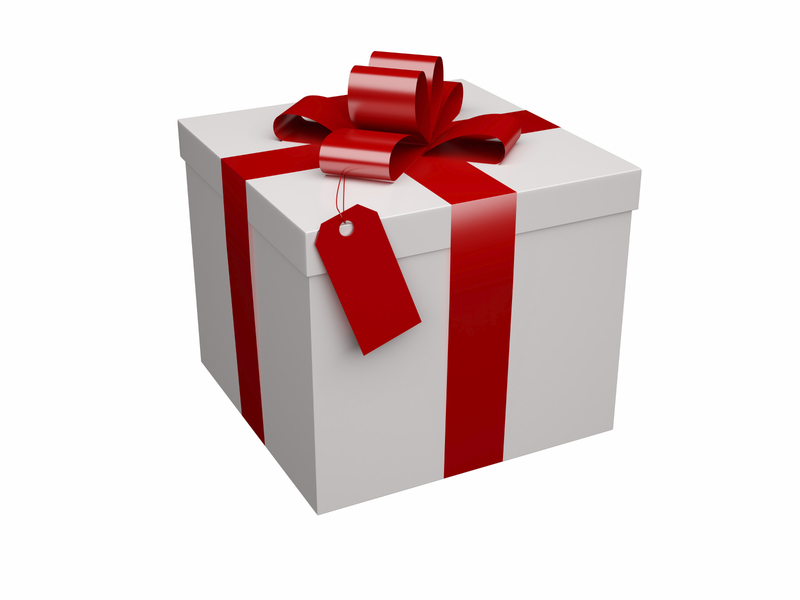 Leave a note with instructions to open the box and put on the contents and meet you in the kitchen/living room/downstairs. 5. 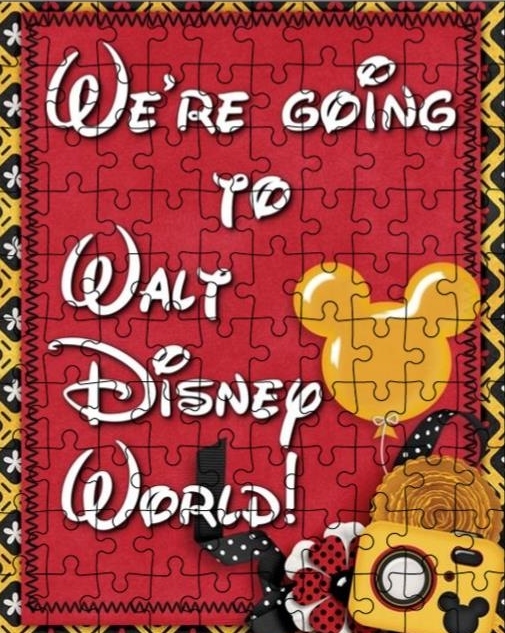 Custom Puzzle - What could be more fun that to tell the kids to go put together a surprise puzzle make especially for them and have them realize they are going to Disney? I think this idea is lots of fun! 6. 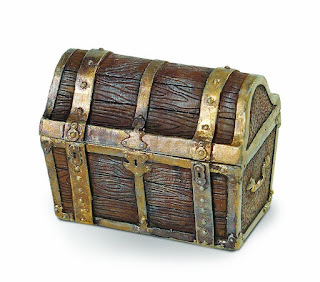 Buried Treasure - Have you kids do a chore they hate (pick up toys, make their bed, hang up clothes). Under the pile of toys/covers/clothes hide a small treasure chest (I found this one on Amazon) with a note inside saying "Pack your bags! 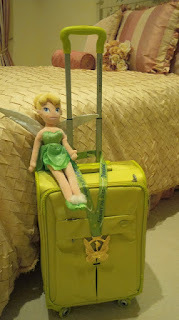 We're leaving for Walt Disney World in the morning!" 7. 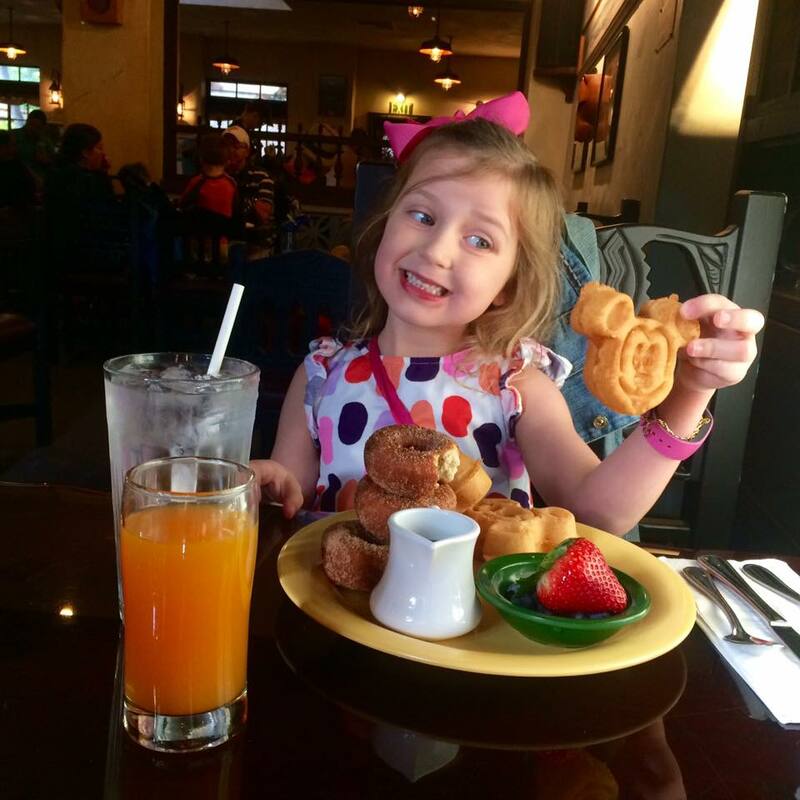 The Subtle Approach - Start the day with Mickey waffles or pancakes. A while later give them a new Disney book to read. For lunch feed them a homemade rendition of a favorite Disney meal or a sandwich in a Mickey icon shape. Next give them a new Disney plush, a little later a Disney t-shirt, then a new pair of Mickey Ears finishing up with their Magic Band. See how long it takes them to figure out what's going on! 8. Don't Tell! - Just get up the day of your trip with the car all packed and tell them to get dressed, you're going on an adventure. If you are driving you can refuse to tell until they figure it out for themselves. If you are flying it's a little trickier, have a friend meet you at the airport with a sign that reads: The Anderson Family is Going to Disney! Have you ever surprised your family with a trip to Disney? I would love to hear all about it. And be watching for a fun Disney Scavenger Hunt that would be perfect for surprising them too, hopefully in the next couple of days. Please share how you pulled it off here in the comments or on my Guru Donna Kay Facebook page! I would love to help you plan your surprise, email me at donnakay@thewdwguru.com or call 877-825-6146 ext 706.